My son recently turned 4 and we really wanted to create a room that he could grow into. He dreams of baseballs, bats and home runs. We worked together to create a sports-themed room. I started collecting items in this theme several months prior to our move. 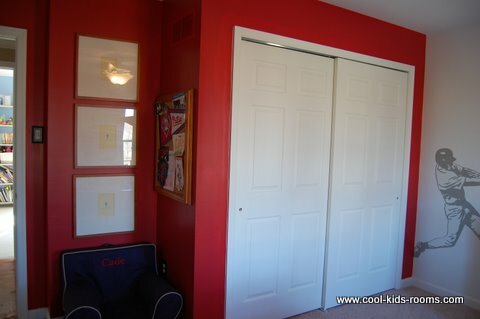 The red wall paint is a Sherwin Williams color called Hearthrob. It took many coats, but we are thrilled with the results. Planning to hang a collection of baseball hats from various teams along the wall above the built-ins. Furniture is all antique and inherited from my Dad. 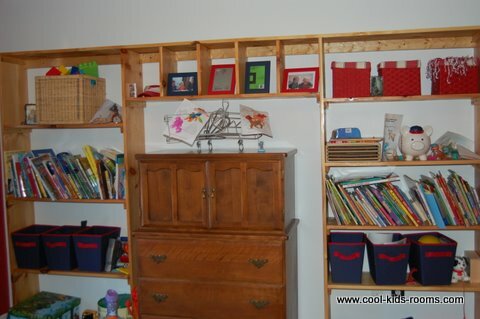 Great theme room for a toddler boy to grow up in and feel that is entirely his own. Awesome, Awesome, Awesome! 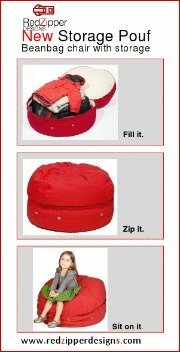 Wish I was that creative! 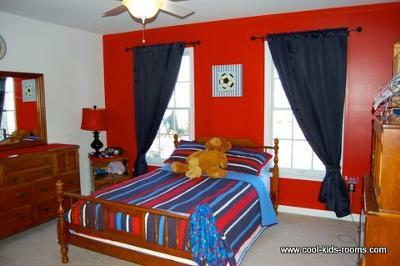 if i ever have a son one day i want his room to look just like this! great job! 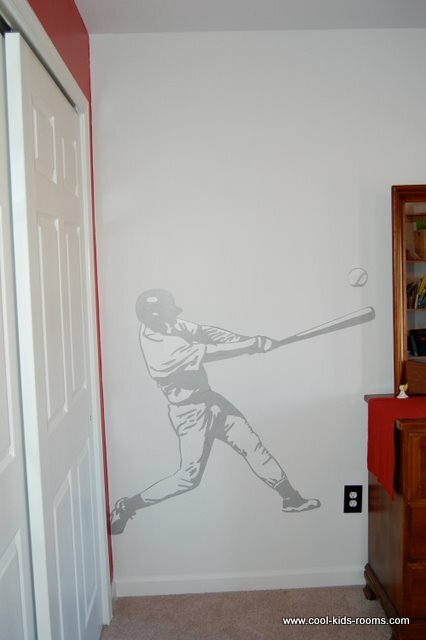 Love the batter wall decal!! Vibrant and youthful colors. He will enjoy the room for years to come! Looks great...definitely not Over The Top. Perfect amount of baseball & boy! I think the theme is great and I love the colors in the room.